The pop-music mogul has disregarded two SEC subpoenas, according to the government. 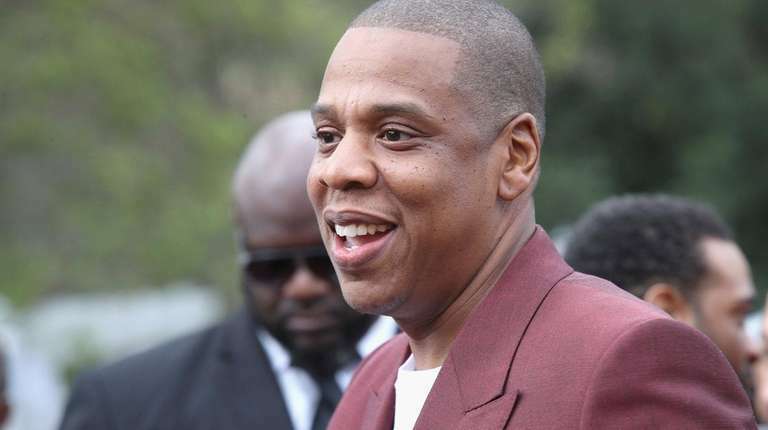 Jay-Z said he was too busy planning a world tour to honor a subpoena to appear this week to testify in an SEC probe of the Iconix Brand Group purchase of his Rocawear clothing line as his lawyers called it a “celebrity hunt” in papers filed Monday in Manhattan federal court. The pop-music mogul, who real name is Shawn Carter, has disregarded two SEC subpoenas, according to the government. U.S. District Judge Paul Gardephe has scheduled a hearing on Tuesday for Carter’s lawyers to show cause why he should not be ordered to testify on May 11. “Giving testimony . . . less than 3 weeks before I am scheduled to begin a major global tour that will last until October 2018, will impair the work of many individuals and entities . . . preparing for the tour and will hinder my own work in preparation for the tour,” Carter said in an affidavit. His legal team complained that much of the information the SEC was seeking could be obtained without an appearance, and the court order the agency was seeking could require multiple days of testimony, unlike the earlier subpoenas Carter disregarded which were limited to a single day. “The upshot imposes unreasonable burdens on Mr. Carter and raises serious questions about whether this exercise has transcended any investigative purpose and crossed over into a celebrity hunt,” wrote attorney Alexander Spiro. The SEC investigation is focused on Iconix, which the agency says paid over $200 million for assets of Carter’s Rocawear, but then wrote down the business by $169 million last year and another $34 million in March. It has not accused Carter of violating securities, but contends he ignored two subpoenas — last November, and then in February — to answer questions about joint ventures with Iconix and other matters. The SEC motion to have Gardephe issue a court order was filed last week. Carter’s lawyers said Monday he would be willing to show up on May 11, if the appearance was limited to one day, but SEC attorneys are insisting that he be available for more than one day if it takes longer. “The professional and publicity demands on his time are enormous,” Spiro said. Carter in his affidavit emphasized the reach of his work — saying he employed thousands, and listing 11 different charities he assists. The subpoena last fall, he said, came during a U.S. tour, and a May 11 appearance would interrupt rehearsals for a world tour starting June 6. “Rehearsals cost millions of dollars,” the affidavit said.